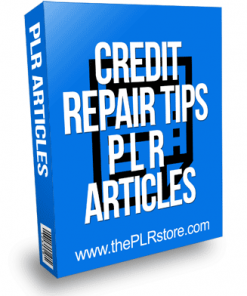 Repairing Your Bad Credit PLR Articles are super easy to edit with private label rights to call your own and tap into a big money niche that is copy and paste. 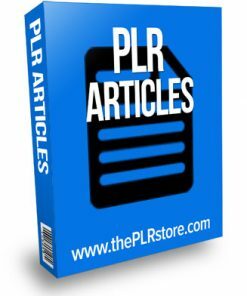 57 articles with private label rights. The articles come in plain txt format so they are easy to use for most any content project. Are you one of the many people who have credit problems? Poor credit ratings and bad credit is more common than you think. 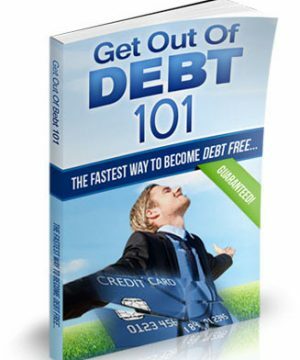 Bad credit is not something to be ashamed of as it can happen to all of us at some time in our life. The good news is that with some effort on your part you can improve your credit ratings. In the issue of repairing your credit, it is best to do it yourself. Most often, you may hear or see advertisements claiming outstanding credit repair services offering you “legal” and “guaranteed” solutions for your credit problems. These services may use mottos that are quite enticing to those who are in dire need of credit repair. There are even others who get easily convinced after reading “authentic” testimonials from several customers, who might not actually exist. Even with poor credit, you will be able to finance many purchases such as a home or vehicle. However, good credit has certain advantages. Those with a high credit score receive prime rates on home loans and auto loans.For some, low rates may not be a huge deal. Yet, low interest rates on loans can potentially save you hundreds each month. Moreover, having good credit unlocks the door to better financing alternatives.